GARDAÍ IN DUBLIN have arrested two people and seized a quantity of heroin as part of their ongoing crackdown on organised crime in the city. Officers from Kevin Street and Kilmainham detective unites, assisted by gardaí from the drugs and organised crime bureau, stopped and searched a man and woman on James’ Street earlier today. They discovered one kilo of heroin, with an approximate value of €150,000. The 26-year-old man and 54-year-old woman were arrested and are being held at Kevin Street and Kilmainham garda stations. Email “Gardaí in Dublin seize €150,000 worth of heroin”. 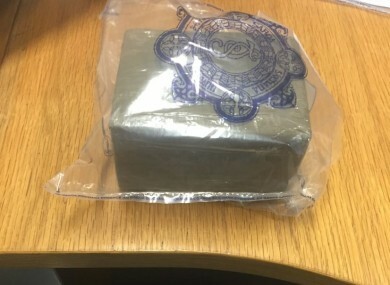 Feedback on “Gardaí in Dublin seize €150,000 worth of heroin”.